COST: Early bird $100 ($120 after 9 February). Purchase tickets online. 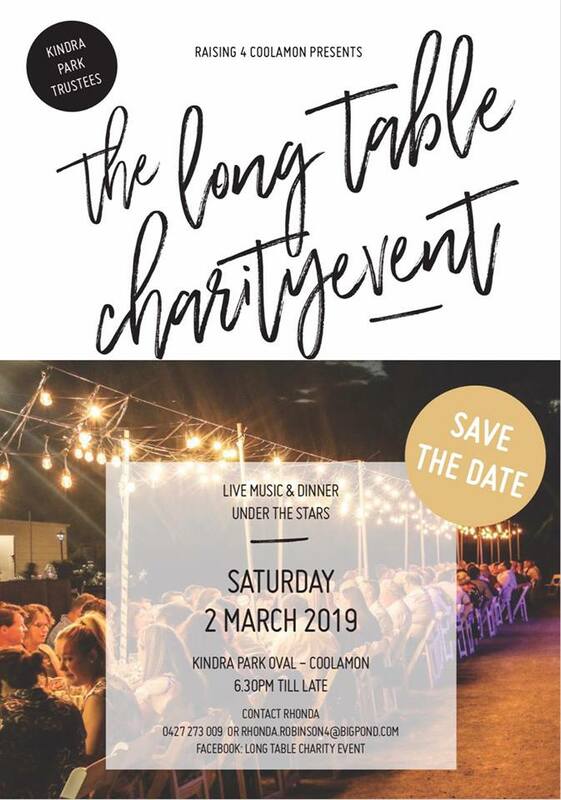 Live music and three course dinner under the stars at the Kindra Park oval in Coolamon. 6.00pm till late with entertainment by Harpist Yasmin Russell and Who's The Boss Party Band. Early bird tickets are $100, after 9 February tickets will be $120. Tickets available online at TryBooking or in person from Commins Hendriks Coolamon. Alternatively, please contact Rhonda Robinson on 0427 273 009. All money raised supports Coolamon Ganmain Hospital Auxiliary and Kindra Park Trustees. Gather your family and friends for a great night out. This event is hosted and organised by Kindra Park Trustees.